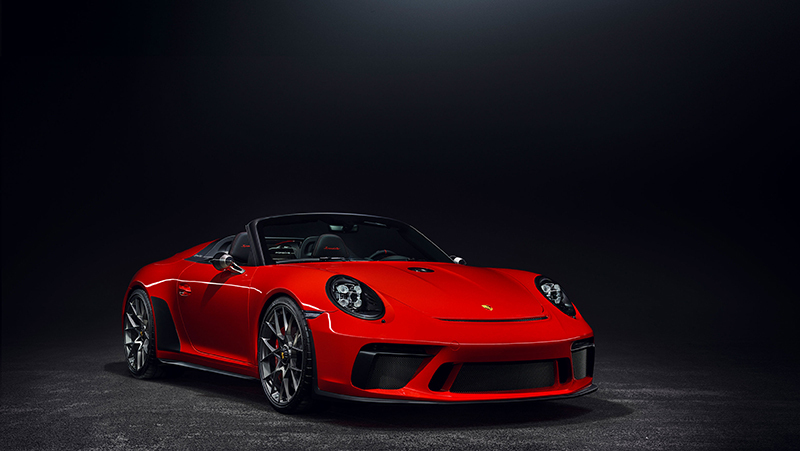 OH, the decals have barely settled on the Porsche 911 Speedster Concept, which the carmaker has been teasing since June in at least a couple of celebrations meant to mark its 70th birthday. 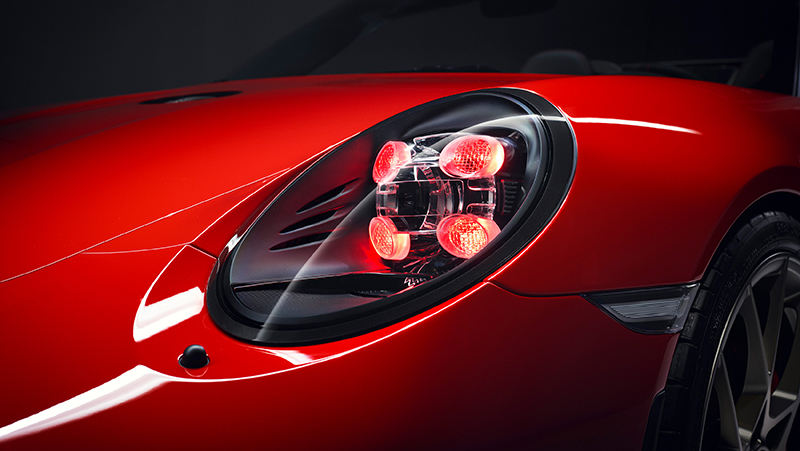 Now, Porsche has announced it would actually put the 911 Speedster Concept on its assembly line. This is set to happen in the first half of 2019, with the number of pieces to be built curbed at 1,948 examples — a number not exactly difficult to guess as to what it refers (all right, it’s the year when Porsche received the license to operate its “Number 1” 356). 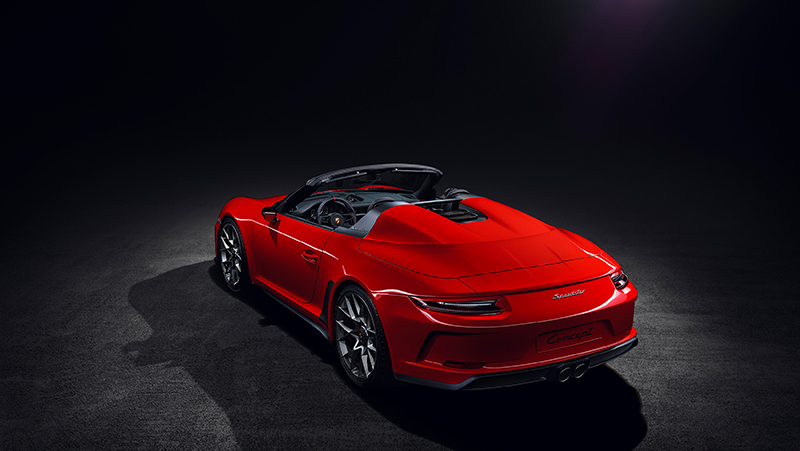 Now, to declare the concept has started moving toward production, Porsche at the ongoing Paris Motor Show touted a 911 Speedster Concept not in stickered guise but in a sizzling Guards Red paintjob recalling that which the 1988 model came dressed in. Dark, center-lock 21-inch alloys, a black leather interior, “Talbot” side-view mirrors, a center fuel cap and tinted DRLs further make the car look showroom-ready. 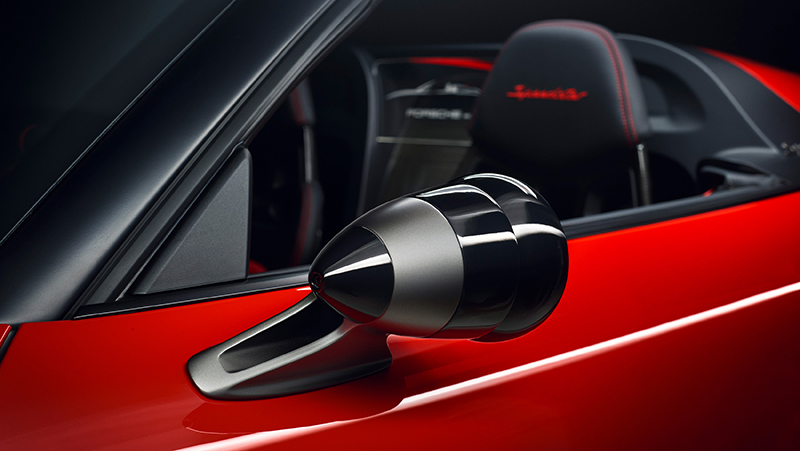 The 991-propped concept car, developed at Porsche Motorsport in Weissach, was a collab job between Style Porsche and Porsche Exclusive Manufaktur. The production 911 Speedster will debut Porsche’s new Heritage Design Packages, which let customers further personalize their 911. 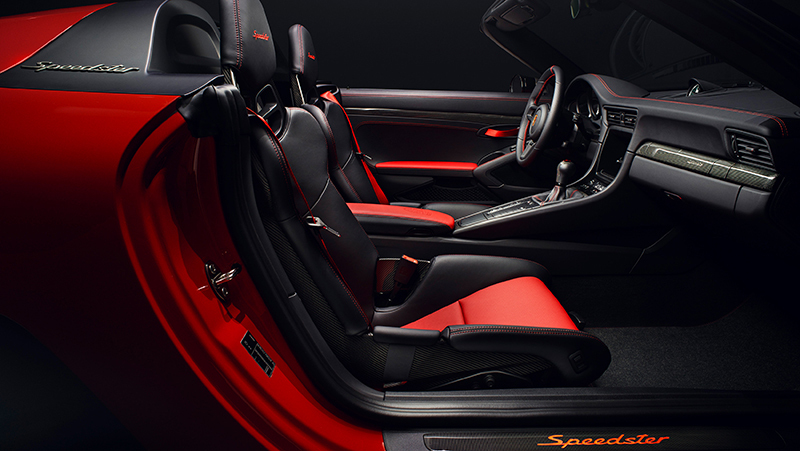 All the other features of the first 911 Speedster Concept study have been retained in the latest version. These count in the chopped window frames and cowl, the smaller side windows, and the carbon-fiber rear deck on which a double-bubble cover sits. Also unchanged is the lightweight tonneau cover, which takes the place of a convertible soft top. 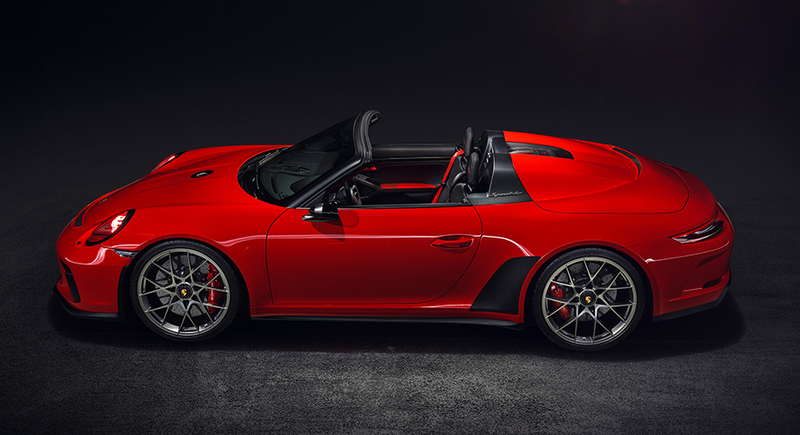 The 911 Speedster Concept is actually a properly disguised production 911 Carrera 4 Cabriolet. 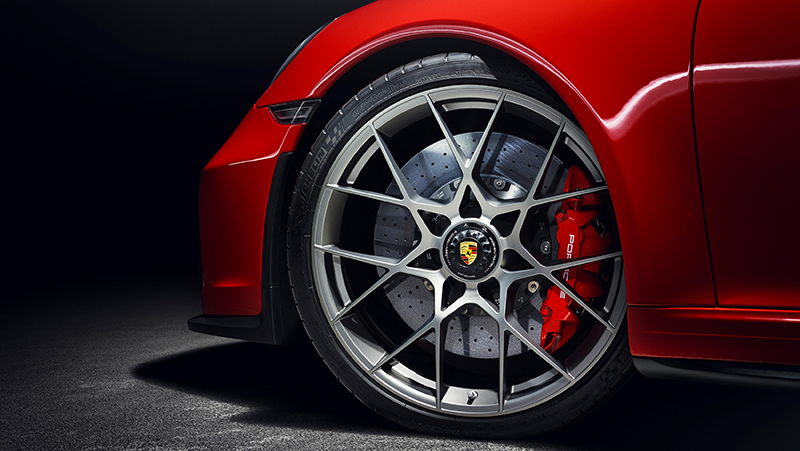 Its fenders, hood and rear deck are made from carbon-fiber while it filched its chassis components from the 911 GT3. Also lifted off the GT parts bin are its titanium tailpipes, six-speed manual gearbox and naturally aspirated flat-six engine that spins out over 500hp, and which will willingly rev to 9,000rpm. No doubt, this car lives up to its name.